My 19th giveaway is sponsored by NOVICA. Have you ever stopped at NOVICA? This is a gorgeous company which, in association with National Geographic, works to give talented artisans around the world a place to express their artistic talents and provide access to the world market. Their creations include home decor, jewellery & apparel, paintings and more. I have never seen so many unique and wonderful products on one site; I guess. These artists come from Asia ,Africa, Latin America... How fantastic! Don't you think? I think if you will be the lucky winner let you know the only hard part is choosing between these amazing jewelleries. The winner will get the gift certificate for $75. Since I am a coctail ring fanatic; to pick out something special to review. I choosed the "Two Face" ring by Carmen Griselda Anocibar; when I am in the mood for the fitting outfit. One of the simple is dark for every combo and the another part of this ring is turquoise that it will be matching for my ethnic clothes. For example for my new clogs... what do you think? You must leave a comment on this post! For an extra entry Tweet about my giveaway! Closes on the 16th of August. This seems like a really great giveaway! Wow, your clog has two tone. Gorgeous and fun and the cocktail ring is perfect for it too. Hi dear, I see we have mutual blogger friends - Jennifer Fabulous, Helena, etc. so I wanted to say hi and finally follow! Novica is a great marketplace - I bought earrings from Thailand and they're lovely! ust stumbled upon your blog! and now i am following!! super cute blog, cant wait to read more. check me out if you got some time. These pieces are really pretty! I cant believe I never heard of them before! yes, i'd like to enter, too! have a vary nice week! hey when did you turn 19 ? mine (bday) is this week too and I m really excited , yay ! Please include me! I've already been drooling over their fabulous cocktail rings and home decor items! Do they have shoes in my size :P? awesome giveaway dear, and I think the cocktail ring would look great with the clogs! Great giveaway and it looks like they have some very lovely items. Wow, that jewellery really is gorgeous. I love those rings. I love shopping for artisan wares! I had never heard about Novica, but seems such a great project. Oh and the things are soooooooooo amazing!!!! Fabulous and generous giveaway, darling! Just browsed the jewelry section and love the selection! The clogs, the clogs! 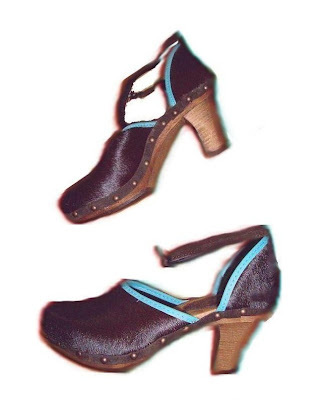 The ponyhair clogs! Assuming ponyhair isn't actually made of skinned ponies, I love them. Hello, can I join the giveaway please? This is a lovely blog too! another fun giveaway! Love the new clogs too! I adore jewellery. 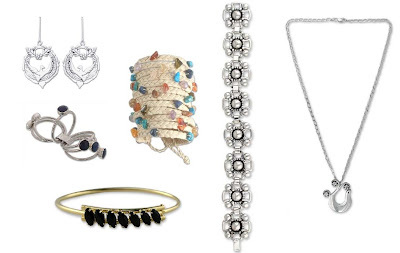 Whats even better than gorgeous jewellery? Jewellery with a cause. How can you not? How can I not? I'm in, thanks for doing something so inspirational gorgeous girl! What an amazing giveaway! Novica has so many gorgeous creations! amazing giveaway darling! please count me in! Love this giveaway, count me in. I've seen bloggers wearing some pretty cool stuff from Novica, so it'd be nice to check all the stuff out with this gift certificate! Count me in. Thanks for the lovely giveaway! I read you through Google. I love your clogs! Will check out the the website. Will tweet about the giveaway too! I should have some giveaway on my blog too, I guess. Will plan so please wait. I love the clogs! Hope I can win the giveaway so that I can get them too! Maybe Ishould have giveaways on my blog too. Will plan on it! I also blogged about your giveaway with your address. Amazing giveaway! Your 19th, WOW! Novica has incredible jewelry. And yes, the clogs and the ring are a perfect match. How gorgeous! 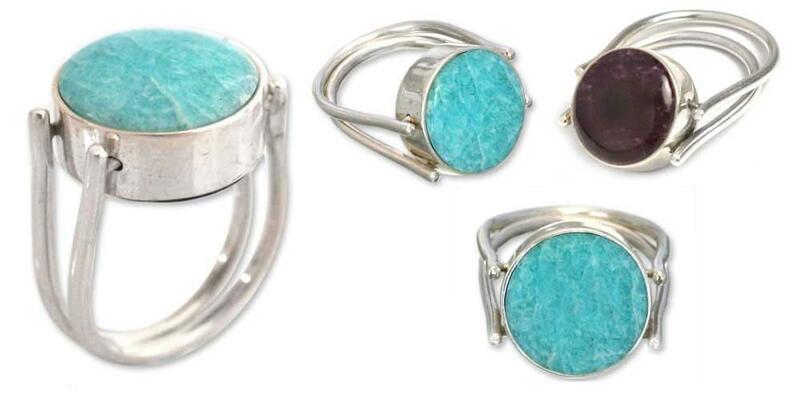 I am totally crazy about everything turquoise! I am definitely going to tweet!